Tyler James is a writer, artist, award-winning game designer, educator, comic book publisher, husband and step-father living in Newburyport, MA. Tyler's work includes the superhero murder mystery THE RED TEN, the swords and sorcery fantasy TEARS of the DRAGON, the romantic comedy graphic novel OVER, and the superteen action comedy EPIC. 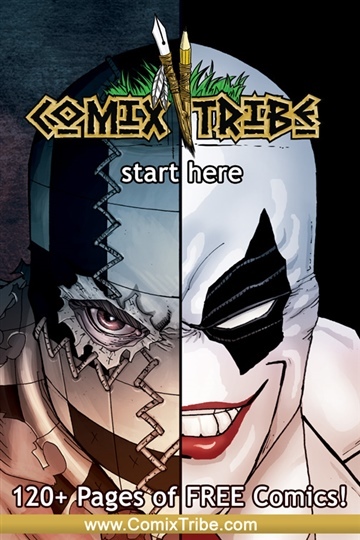 Tyler is the publisher and co-creator of ComixTribe, which is both an internationally distributed creator-owned imprint of comics and graphic novels, and an online resource empowering creators to help each other make better comics. Tyler is also the originator of the annual 30 Characters Challenge. Contact Tyler via email (tyler.james@comixtribe.com), follow him on Twitter (@tylerjamescomic) or check him out on Facebook.